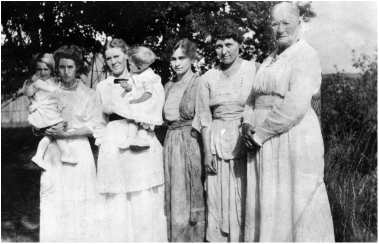 In the past, women gave birth at home surrounded by their large extended family. New mothers learned to care for their newborns by their own mothers, grandmothers, aunts, and sisters. In modern society, this support system may not be available. Close knit communities that were common years ago are not as readily available. Women are having their children later in life at a time when their own mothers may not be physically able to help them. Or if family is close by, they may not be the best source of encouragement and support due to conflicting ideas of parenting. Single moms struggle trying to do it all and finding balance between work and family. Sometimes a new mother has a good support network in place, but wants to make sure the advice she is receiving is current. This is where a doula's expertise is needed. My non-judgmental support helps to instill confidence allowing parents to do things their way. As a Certified doula and Certified Breastfeeding Counselor, I must keep up with continuing education requirements so the information I provide to families is correct and updated. Research has shown that women experiencing Postpartum Depression can greatly benefit from the support of a doula. I can help create a peaceful environment so mom can share her feelings openly. Information on community resources and referrals are provided as needed. As a doula I can help mothers of multiples with time management and provide tips on feeding twins or more. My role is to nurture mom so she in turn can nurture her baby. Whether you are a first time mom or an experienced mom, every mom deserves a doula. My mother, delivered at home by my grandfather!